Yesterday, it was reported that 2K Marin, the developer of The Bureau: XCOM Declassified, and Bioshock 2, had been hit with massive layoffs. 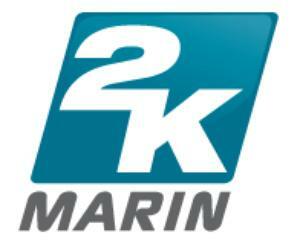 2K Games spoke with Polygon confirming the layoffs saying “We can confirm staff reductions at 2K Marin. While these were difficult decisions, we regularly evaluate our development efforts and have decided to reallocate creative resources. Our goal to create world-class video game titles remains unchanged.” This quote from 2K Games is a little optimistic, but other sources paint a different picture. It is possible that other employees could apply to jobs at other 2K Studios, though any job loss is unfortunate. We at The League of Mediocre Gamers wish the best to all of the employees effected by the layoffs, and hope they are able to find new jobs. This reporter’s opinion: It’s always sad to see a studio close, but I can understand the decision. I’m assuming The Bureau under-performed in sales, as it certainly wasn’t very high quality (take a look at my review to learn more). I hope each of these employees finds new jobs though, as losing a job is just awful for any family. sources: eurogamer, Polygon, and Rock, Paper, Shotgun. This entry was posted in Gaming and tagged 2k Games, 2K Marin, Bioshock 2, Layoff, Marin, The Bureau, XCOM on October 19, 2013 by leagueofmediocregamers. XCOM Enemy Unknown was one of my favorite titles from last year, and seeing an expansion pack being released this year makes me giddy with glee. Enemy Within is adding all kinds of new additions to the tried and true gameplay players came to love with Enemy Unknown, including genetic or mech upgrades to your soldiers. Enemy Within will also feature human enemies, a series first. To learn how and why, take a look at the trailer below. For more on Enemy Within, take a look at Rev3Games’ 30 minute preview of the upcoming title. Look for XCOM Enemy Within on Novemeber 12th, costing $29.99 on PC (requires Enemy Unknown to play), and $39.99 for Xbox 360 and PS3 (this version comes with a free copy of Enemy Unknown as well). This entry was posted in Gaming and tagged Firaxis Games, XCOM, XCOM Enemy Unknown, XCOM Enemy Within on October 10, 2013 by leagueofmediocregamers. XCOM: Enemy Within takes players back to the frontlines of humanity’s war against the alien invaders. You will continue your role as the battlefield commander and can now upgrade your soldiers will two incredible new tech paths. Your soldiers can become mechanized warriors or psychic savants. Each path carries with it its own strengths and weaknesses, but it’s hard to find a weakness when you’re a 10 foot tall mechanized warrior. Take a look at the trailer below. 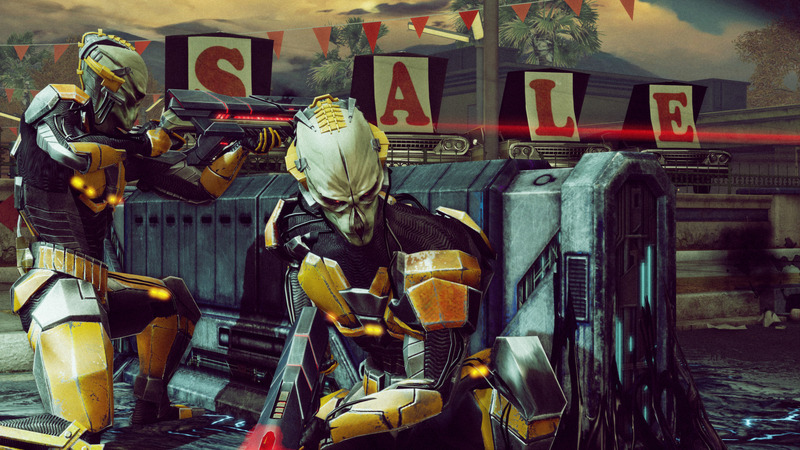 For more on Enemy Within, take a look at Adam Sessler’s great interview with Firaxis. XCOM Enemy Within is launching on November 12th for Steam at $29.99 as an expansion pack for XCOM: Enemy Unknown. The PS3 and Xbox 360 version will launch as a standalone disk that also comes with the original XCOM: Enemy Unknown for $39.99. This entry was posted in Gaming and tagged Expansion pack, Firaxis Games, XCOM, XCOM Enemy Unknown on September 1, 2013 by leagueofmediocregamers. 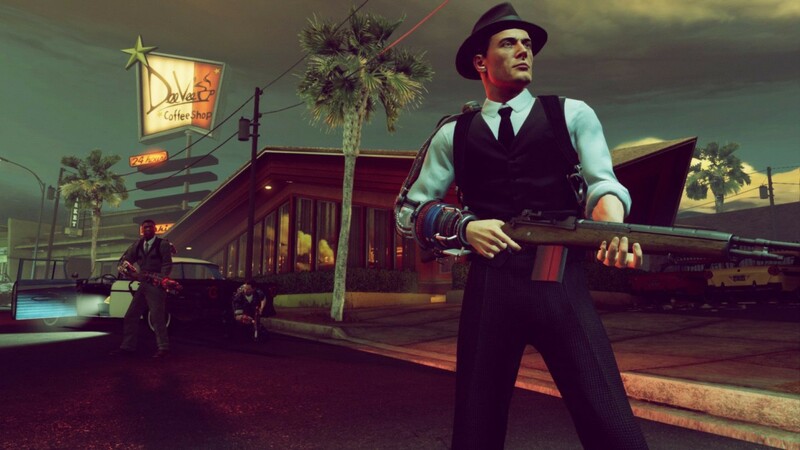 The Bureau has been around since 2010, where it was announced as a first person shooter being developed by 2K Marin under the name XCOM. It got quite a hostile reaction from fans at the time, and it went dark from there on out. 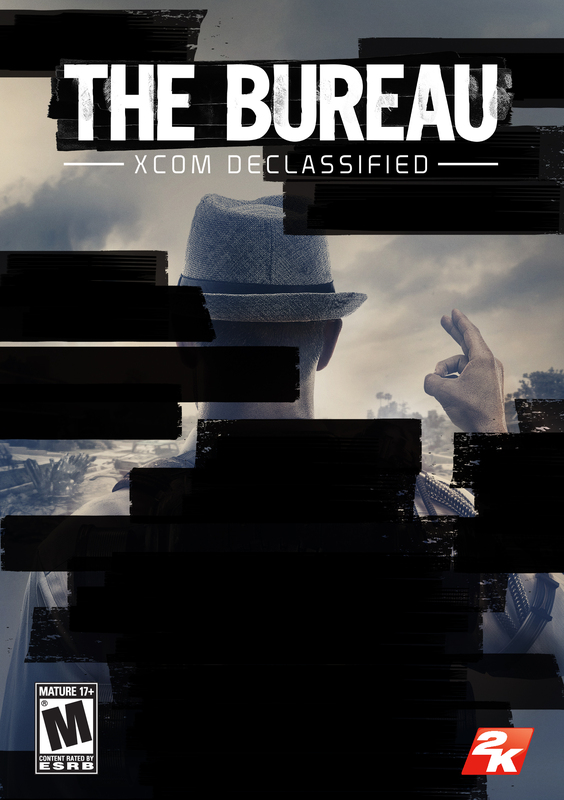 The XCOM franchise was revitalized by the 2012 release of Firaxis’ XCOM Enemy Unknown, and early this year 2K Marin revealed that XCOM had undergone a full conversion to the third person, cover based, tactical shooter that we now know as The Bureau: XCOM Declassified. Our story centers on the grizzled war veteran William Carter, who is recruited to The Bureau to take on foreign threats during the height of the Cold War. These threats weren’t originally meant to include aliens, but thanks to early game events, Carter is tasked with defending the USA with his small squad of agents from the ever growing alien threat. Carter really is a classic 1960s “Man’s man” type of character; he’s a Korean War veteran and sounds like he smokes 4 packs of Marlboros a day. Carter is a really bland character for most of the game, but does get a little more interesting toward the end of the game. This can also be said for the story as a whole. The opening is great, but falls quickly on its face after the nearly hour and half tutorial. I won’t spoil anything, but the story seems to have a large 4-5 hours of filler that make you just not want to play this game, before the story finally picks up. Once it finally does pick up though, you want it all to be over. The 1960s setting for the story is a refreshing new locale for gaming, and one that we have seen too little of in our current gaming world. Many small references make you really feel immersed into the depths of the Cold War, when we were more worried about the Reds than any men from Mars. The level variety however, is very lacking. When you travel to cities it’s the small basic small town 1950s Americana in nearly every town, and I can only fight off aliens while using Chevy Bel Air’s for cover for so long. The alien sections of the game work out far better, as they seem meticulously designed for combat. I suppose it’s possible that the designers really wanted you to feel like humans were fighting a desperate war in the town sections, but I don’t want to excuse poor level design. 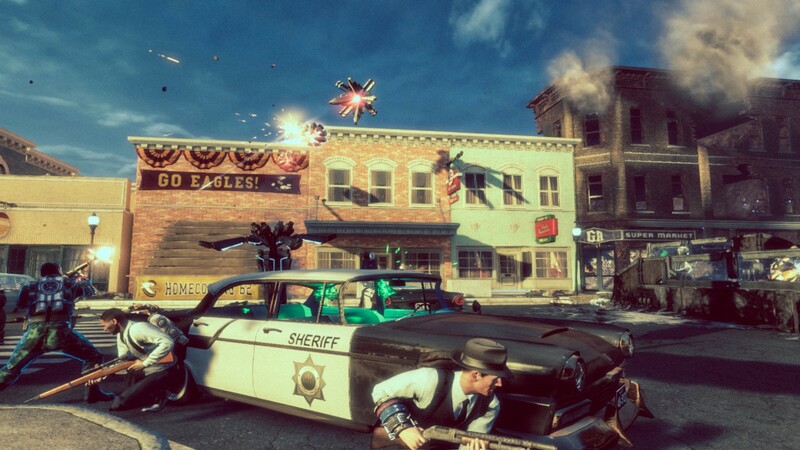 The Bureau is a third person shooter, and in this console generation that means it also uses a cover system. In all truth, the combat is quite similar to Mass Effect 2 or 3, which means it’s pretty good but at times can be quite frustrating. It uses one button (on Xbox 360, A) for running, getting into cover and swapping between cover points. For the most part I found it quite good, but those who have not played as much Gears of War or Mass Effect as I have may run into trouble. You command a squad of yourself and two additional agents. These agents can be of one of four different classes: Commando, the more gun-focused agent with ability to goad enemies into the open, Support, who can give you shields and combat stims, Recon, who uses sniper rifles for critical strikes and can call in artillery strikes, and Engineer, who can lay down turrets and mines. I used the Engineer and Recon troops the most, and found their varied abilities to work great in tandem. You can also customize each agent, giving them special names, and different clothing choices. Permadeath returns for this title, which means if a soldier bleeds out on a mission, they are dead and gone for good. This gives you a legitimate sense of dread about losing any of your best soldiers, forces you to think more tactically about any moves. Personally, I didn’t lose any, but did restart at checkpoints a few times. You can level up your units by taking them along on story missions, the six or so side missions, or sending them out on dispatch missions. Dispatch missions act as a way for units to gain levels while not in your squad, though these are few and far between. Battle Focus works out very well, and helps with the extremely hectic combat. You lead your three man squad into combat, and are equipped with an all new tool called Battle Focus. By pressing the B button, you bring up a radial wheel which allows you to command your troops for various actions like who to target, where to move and what abilities they should use. Battle Focus is the most integral portion of the combat, as you will need to utilize all of your squad’s abilities to successfully conquer most of the battles. I found myself no using it as much for movement, as I like to keep my squad near me, but I found acts like flanking with my recon trooper to be very successful. You will need to combine all of your team’s abilities and knowledge to get through some of the excruciating battles in the game. You will be facing down many previous XCOM enemies, like the Sectoids, Drones and Mutons with quite a few new enemies as well. I would like to say the enemy types are varied, but I’d be lying. Once you are past the early stages of the game, and can dispatch Sectoids by the bushel, the game just hurls different variations of the Outsiders at you. They are all basically the same base character model, but with different frills on top. Some get space suits, others have camouflage, and others have bouncy antennas. I’m not exaggerating that last part by the way, that’s actually what one of the later game enemies has on its head. I could understand it being a call back to the 60s era of UFO mythology, but it’s not explained at all and looks just plain silly. Combat for the most part is balanced, but becomes game breakingly frustrating in the final levels. Outsiders throw grenades with perfect accuracy and at rates I haven’t seen since the Veteran difficulty of Call of Duty: World at War. Mutons will literally jump into your defensive set up and smash you to oblivion, and Drones will pick up your units and incapacitate them faster than you can realize where they are. I won’t try to claim to know the perfect formula for ramping up the difficulty toward the end of a game, but making everything based on luck is not it. The combat also suffers from two other major problems: its lack of weapon variety and ammo placement. There are about 7 or so different types of weapons, and about two or three of each type, one classic human weapon, one laser, one plasma. These weapons all sound and look relatively unique, though I did find that a couple of the alien weapons looked a little too similar for my tastes, and I mistook one rifle for another a couple of times. You also do not even find all of the possible weapons for that you can start with until during the final mission. The issue is the weapons also don’t seem to change much in terms of damage. For example, I used the basic pistol on the final mission for quite some time and found it still does quite a bit of damage. I would expect when the aliens have gotten much stronger, we would have to adapt and use their weapons more. Apparently not, as the game even scatters the first rifle we find in the game throughout that mission. The ammo placement during the early stages of the campaign, and many late stages, is just plain poor. You will run through your ammo very quickly in most of the combat sequences, and you will have to utilize your squad’s abilities just so you can pick up a couple of extra bullets. It’s unnecessarily frustrating, especially during the late campaign levels where combat sequences could last for almost 10 minutes at a time. Between missions you have the opportunity to explore the XCOM central command. It is a very large building, but is quite empty. You can talk to a few people around the base, and go on a few investigations (quests where you must talk to others in the base), but it really lacks any sense of life. 2K Marin could have really fleshed out the amazing different areas you could build in the main XCOM series, or allow items we find in the field to lead toward new technology, but instead they chose just a massive series of rooms with nearly nothing going on. It is well detailed and designed, but quite empty. It’s painfully bland and really just another disappointment to add to this titles growing list. Voice acting is serviceable, with a few standouts. Your pilot, Barnes, delivers a great humanizing performance and shines during his brief few radio calls. Director Faulke gives a stellar performance as well as your increasingly paranoid commanding officer. Garry Schyman scored the game, and it is alright, but nothing to write home about. He certainly seemed to take influence from many of the Sci-Fi themes of the era, as well as the common music of the time. It has good moments, but generally is just there. This problem could be due in part to poor audio mixing. There were times when I would have music blaring to the point I had to take off my headphones, and then at others I could barely hear it. I found the side missions often better then the poorly paced story. The Bureau had so much potential, and it’s really a shame that it could not reach this greatness that it showed glimpses of. I think the decision to change the title over from first person to third person caused the game to have a complete lack of polish. The Battle Focus works great for the more open battlefields, but fails to make a difference in many of the tight ambushes, or small arenas. Poor variation in the enemy types, and the poor ammo placement can make combat far more frustrating than it should be. Combine all of this with a poorly paced story, and you have one really disappointing experience. I don’t hate this game, but seeing all this potential going to waste is a real shame. Full disclosure: I completed this game in about 10 hours over the course of four days. I played the majority on veteran, but had to lower the difficulty at a few points as it was just so damn frustrating. I played it on the Xbox 360, purchased from Gamestop. This entry was posted in Gaming and tagged 2K Marin, Bureau: XCOM Declassified, Review, The Bureau, XCOM on August 24, 2013 by leagueofmediocregamers. The Bureau gets a launch trailer! We got a war, just not the one we were expecting. The bureau, a group meant to fight off possible Soviet invasions, now must survive, adapt and win against an extraterrestrial threat. Take a look at The Bureau’s final trailer in the video below. 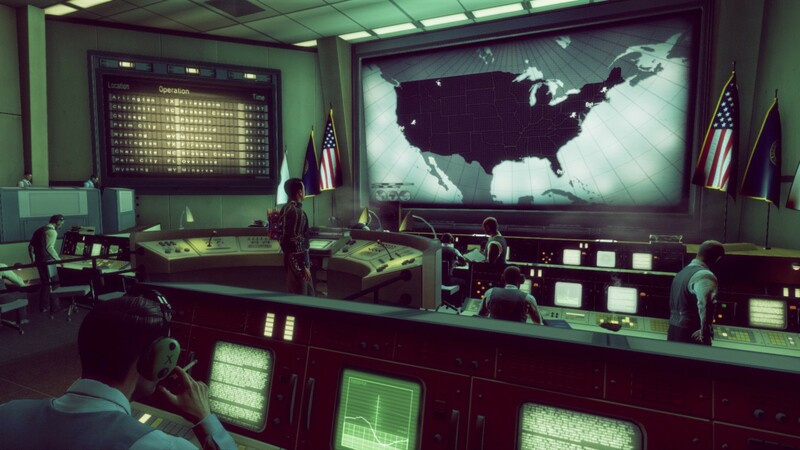 The Bureau: XCOM Declassified releases tomorrow on Xbox 360, PS3 and PC. I will be picking it up tomorrow and hope to have a review posted by the end of the week. This entry was posted in Gaming and tagged 2K Marin, Bureau: XCOM Declassified, The Bureau, XCOM on August 19, 2013 by leagueofmediocregamers. A common theme in XCOM games has always been perma-death. When one of your soldiers dies on a mission he is dead for good. In the recent year the term YOLO has become quite popular when youth plan on doing something just plain stupid, and The Bureau looks to prove why YOLO should not be used for your decision making. 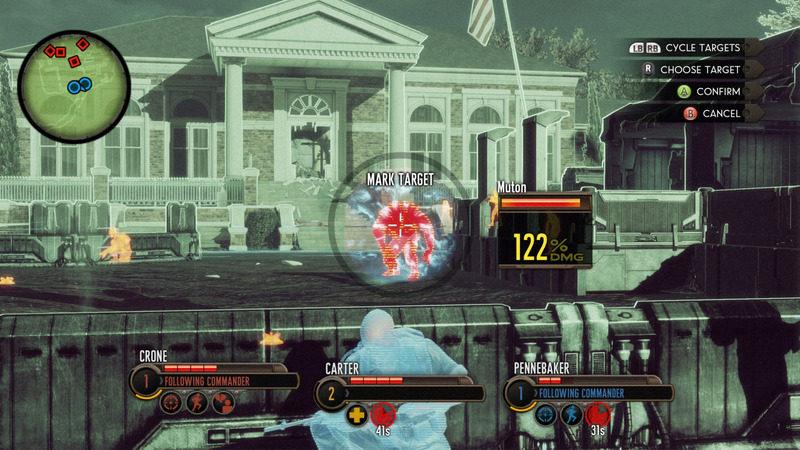 The Bureau: XCOM Declassified arrives on Xbox 360, PS3 and PC on August 20th. By pre-ordering now, you can receive up to seven games on Steam. We will have a review of The Bureau up within a week of launch. This entry was posted in Gaming and tagged 2k Games, 2K Marin, Pre-order, Steam, The Bureau, XCOM, YOLO on July 31, 2013 by leagueofmediocregamers.